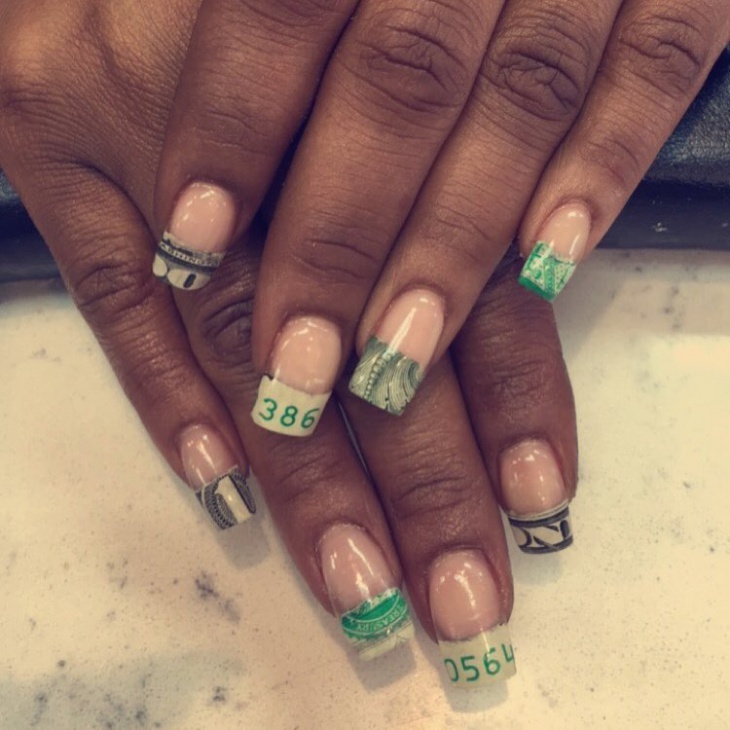 You don’t have to have money in your hand; you can have it on your nails and show them off too. They might seem a little eccentric but this is creativity redefined. 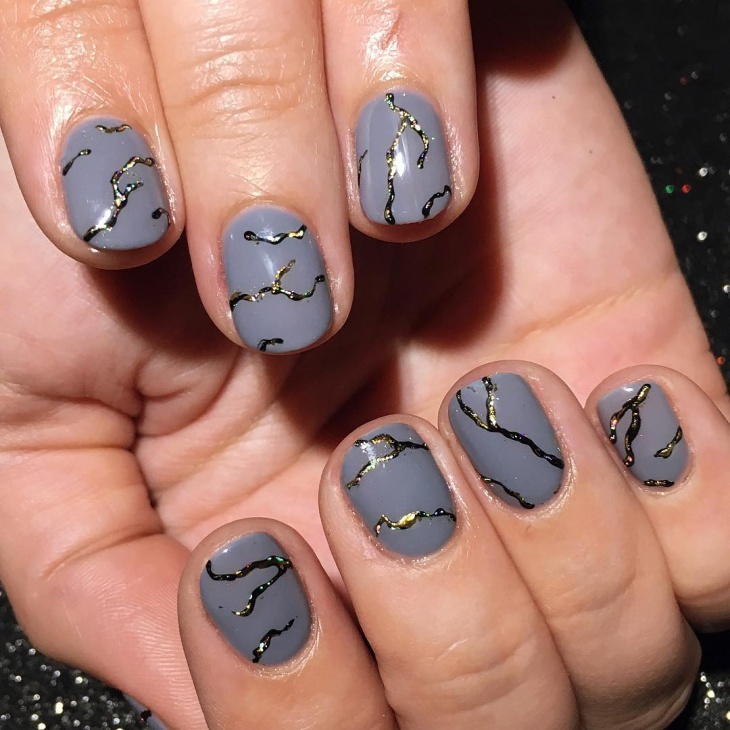 To think of something so unique is what art is all about and these dollar nail art designs show you what art is. Let’s see the creativity involved behind each nail art. This is definitely art; it is a fusion of multiple colors with a tinge of dollar art involved in it. 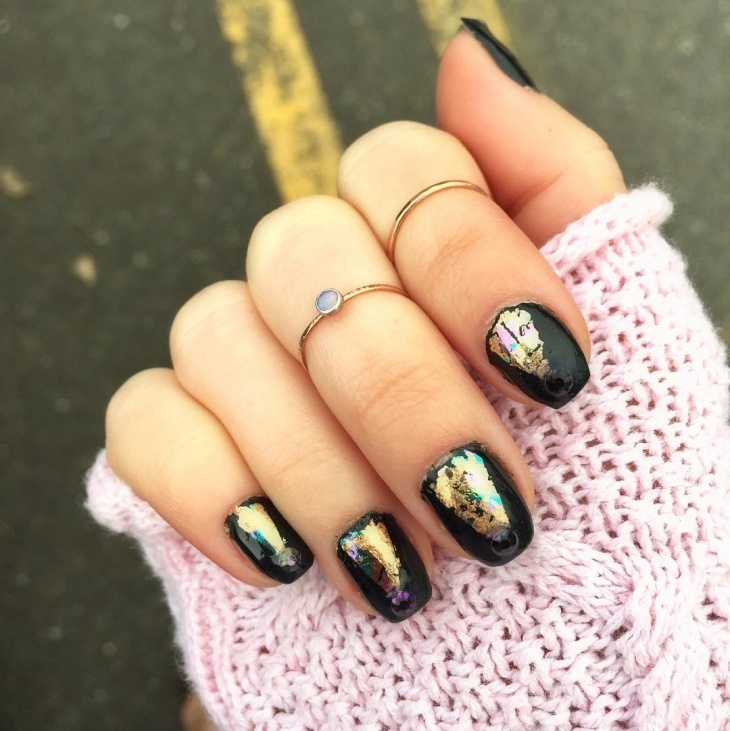 Paint your nails completely black first and then add the extra colors, the black will help define the other colours well. The green symbolizes money. This design will be perfect for a party; all eyes will be on you. 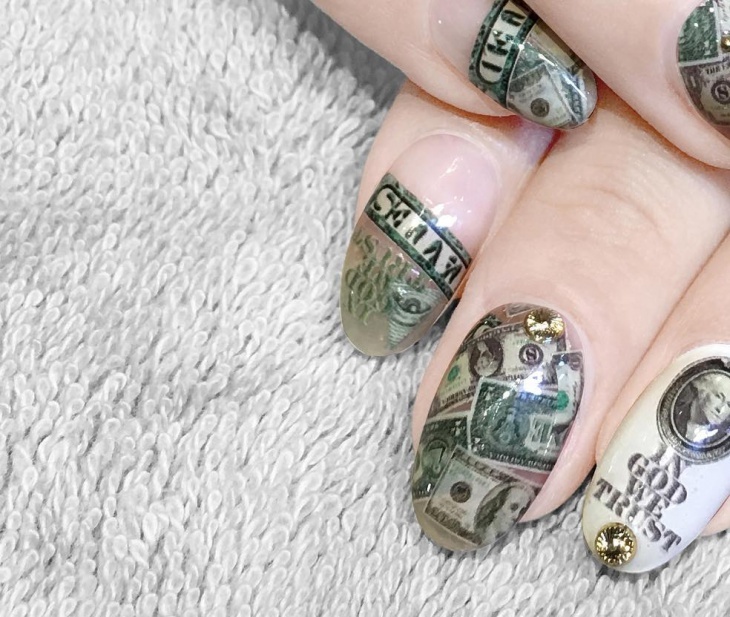 The dollar nail art design is beautifully designed and executed. This is the exact replica of how a dollar looks and it has been designed to accuracy. One finger has the complete notes whereas the other nails have half of it. 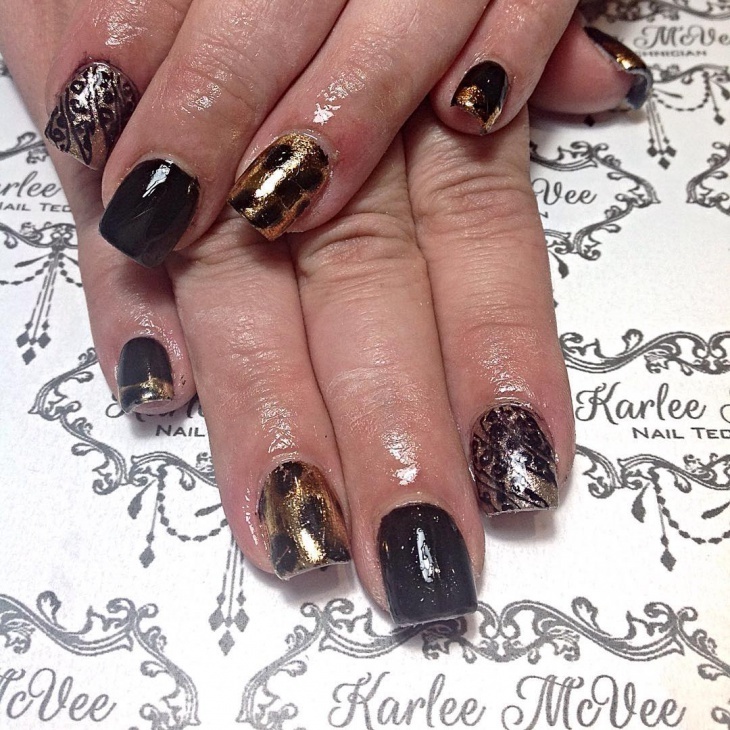 The golden studs on it just add to the beauty of the nail art design. 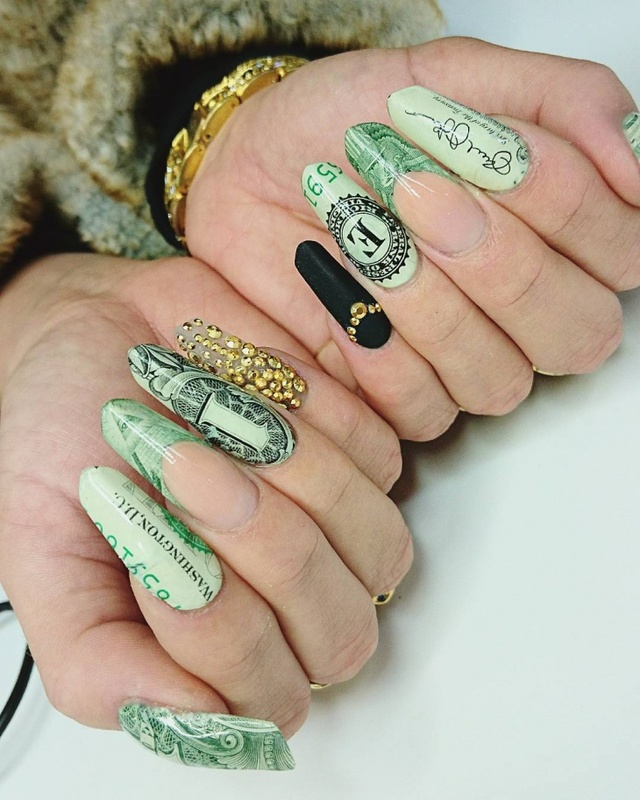 French tip nails always look classy and so does this dollar bill nail art design. The dollar bill has not only been done well but the glitter look given to it makes it look absolutely elegant. This design is perfect for any party with a beautiful dress. It will sparkle throughout the night. The sparkles added to any design make it look glamorous. They add to the beauty of the nails. 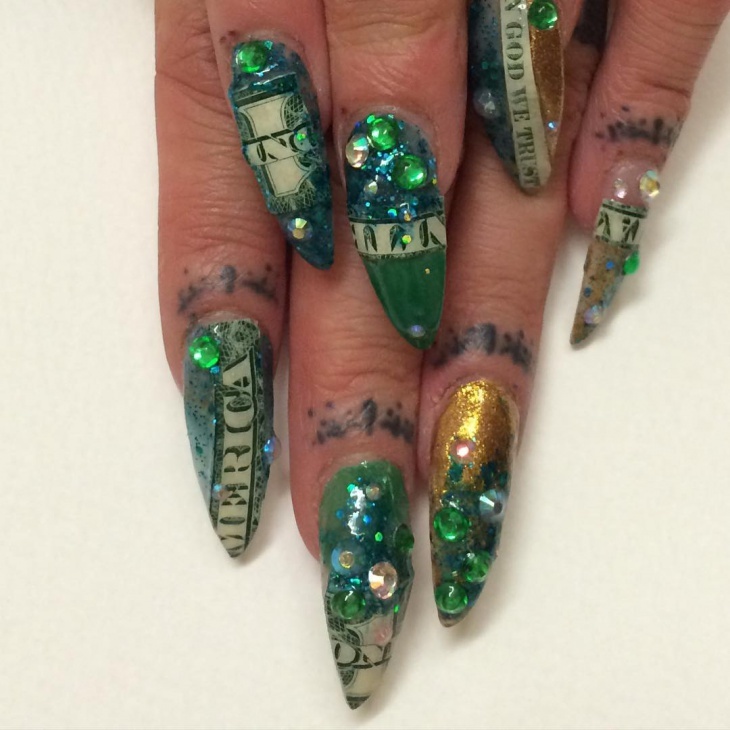 This nail design has parts of a dollar note and lots of glitters. 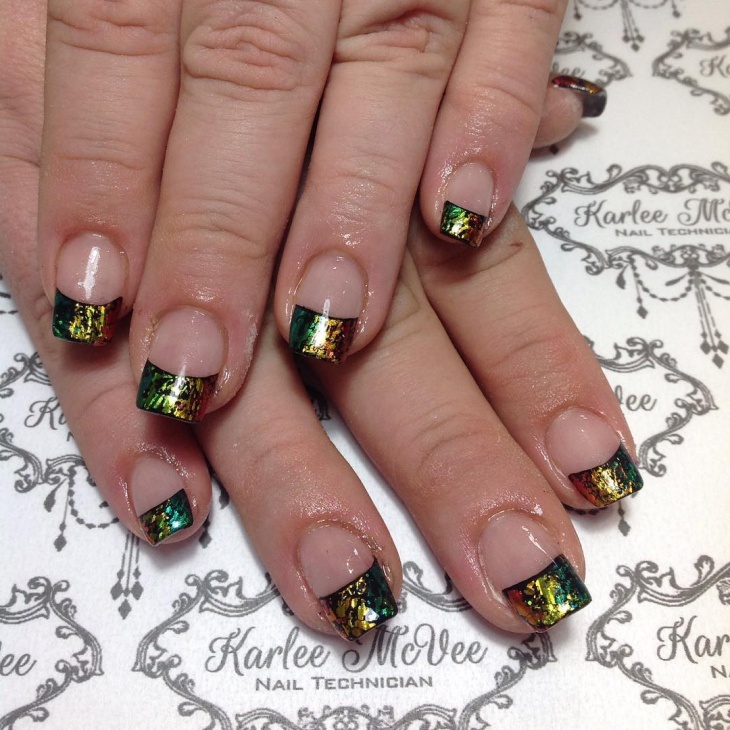 The golden and green glitters are a perfect blend and suit long nails perfectly. This can be perfect for casual and party wear. Rhinestones not only make the nails look alluring but make it look lavishing also. They add sparkle and a charisma to the nails. One nail has the dollar symbol and the other nails have just been painted with glitter and glamour to make it look like the perfect nails. Black, white and silver make the best combination. 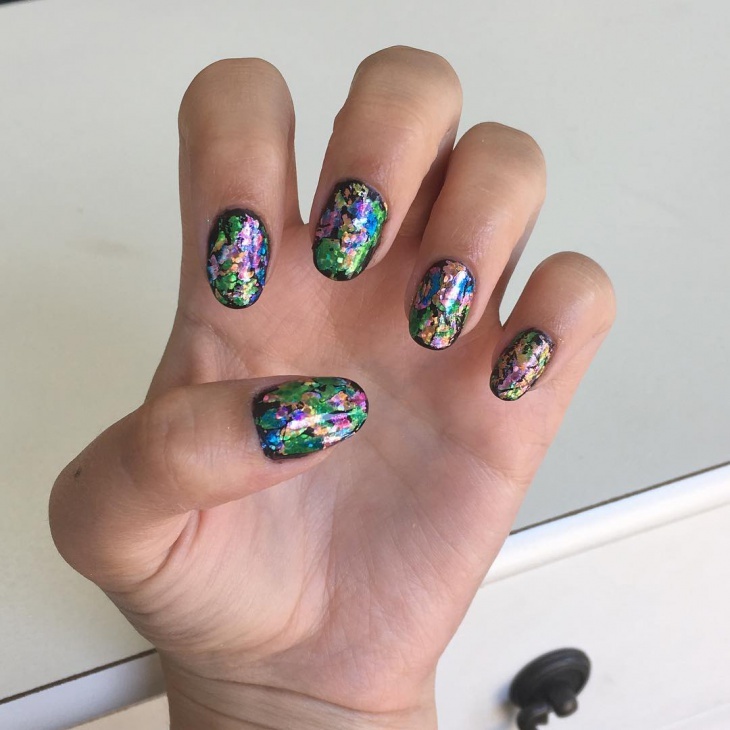 They all blend in perfectly to make the best dollar nail art design. The dollar symbol on one nail each is what adds to the beauty of it. Unlike the other nails, it doesn’t have the entire dollar design but merely a symbol, which defines its simplicity. We love the simplicity in this design. The subtle color and the subtle dollar design makes it look very elegant and gorgeous to look at. This can be worn even on an everyday basis and it will look splendid. Make sure you add the golden glitter perfectly because they are the reason for the sparkle in your nails. 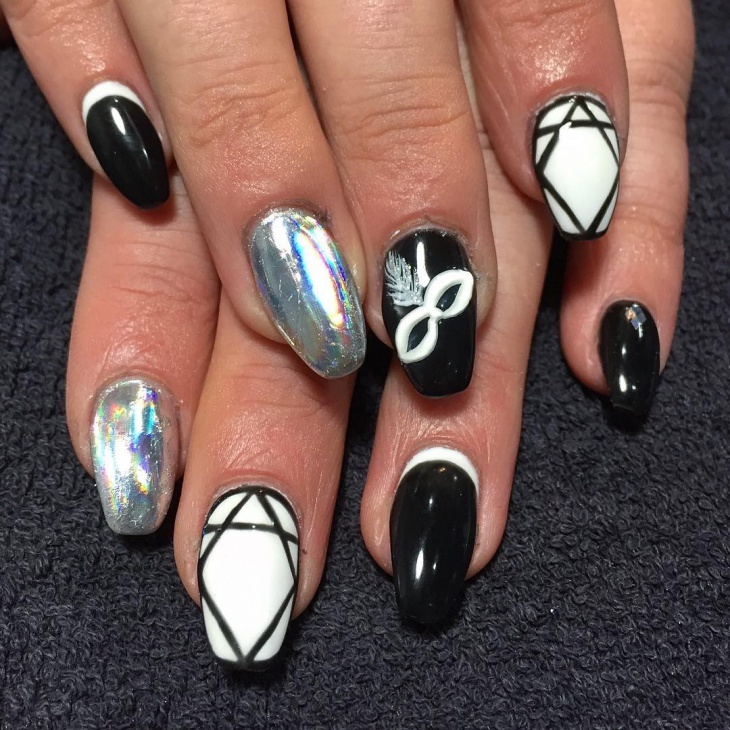 Acrylic nail designs always make the nails look more classy and charismatic. We love how graceful the dollar design is done. It looks like high-class nail design. This is perfect for any special occasion because after getting this done you will have to maintain it well. 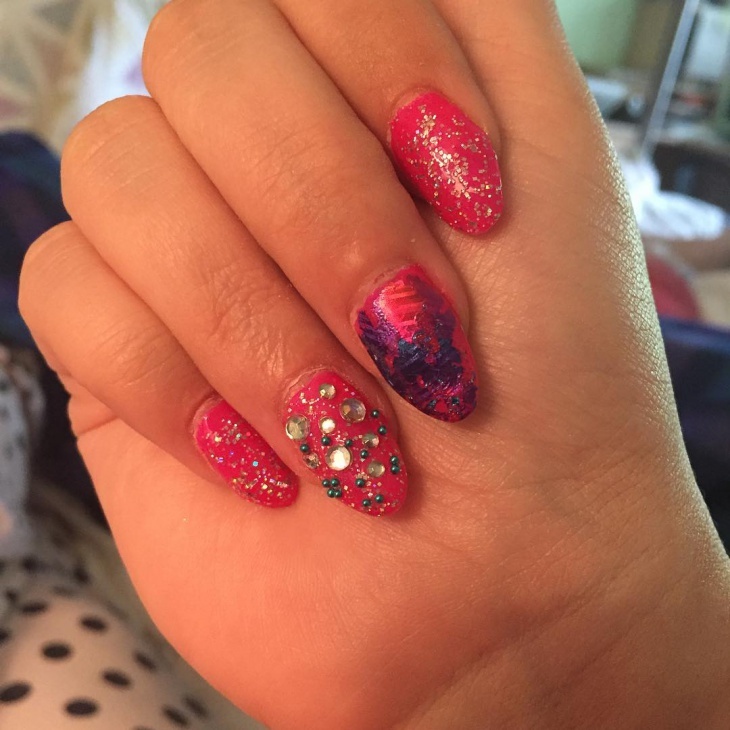 If you have long nails and can’t think of something different to do on it then you have come across the perfect nail art. 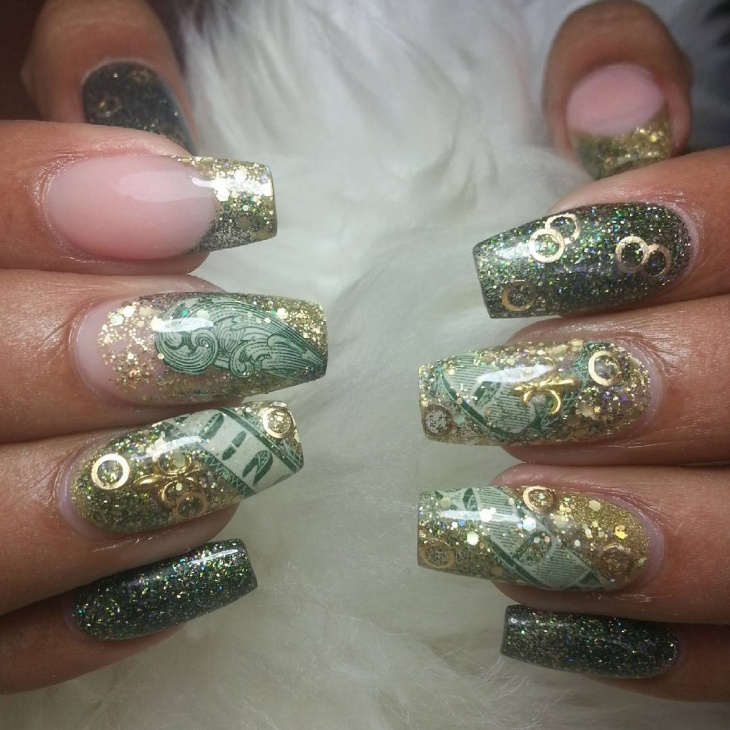 This design will cover your entire nail with the dollar note and your last finger with some shine and glitter. 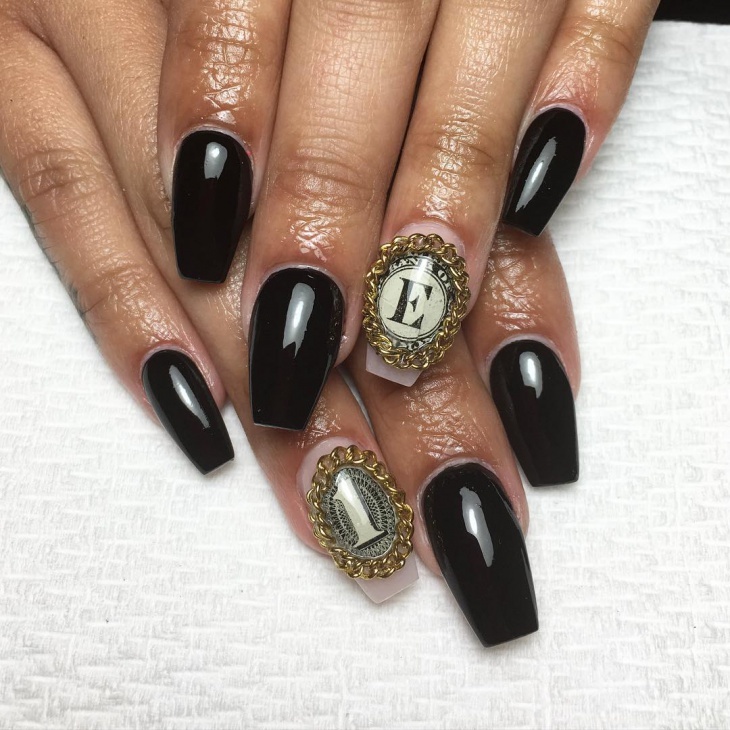 This is a simple nail design with just black nail paint and dollar nail design on it. As mentioned earlier, the black brings out the dollar design well and makes it look eccentric. These nail designs are not just merely dollar nail arts they are patriotic nail designs. Each nail art is done with perfection and the teal nail color is what makes it stand out and look wonderful.